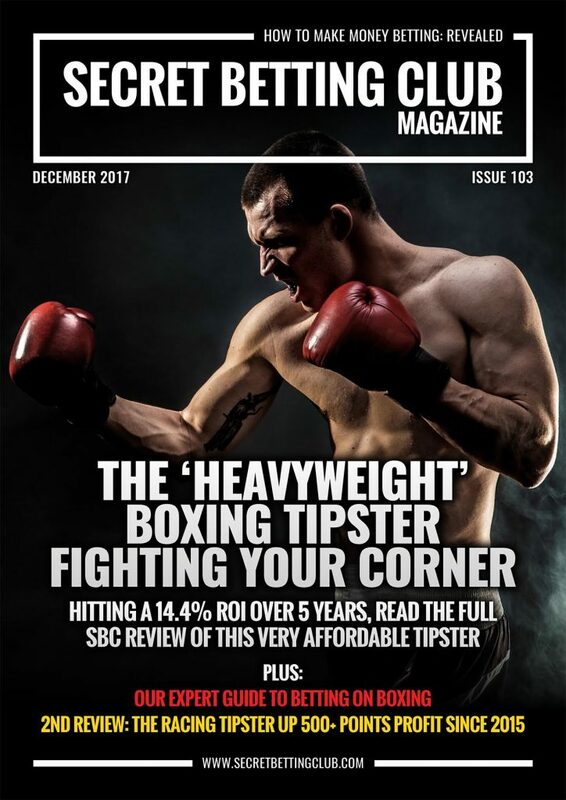 The Heavyweight Boxing Tipster & More: SBC 103 Out Now! Exclusive review of the little-known boxing tipster exploiting the bookies lack of knowledge in the ring. With a track record of 14.4% ROI over 5 years, this expert continues to stack up the profits. Best of all – he costs just £10 a month to follow in. Discover everything you need to know to make a profit boxing. Including how the boxing betting markets work, the bookies to use & more covered in this unique guide. Delve into our exclusive review of the racing tipster with a significant edge over the bookies. Having generated well over 500 points profit and 434% Betting Bank growth since 2015, we put them under the SBC review microscope! 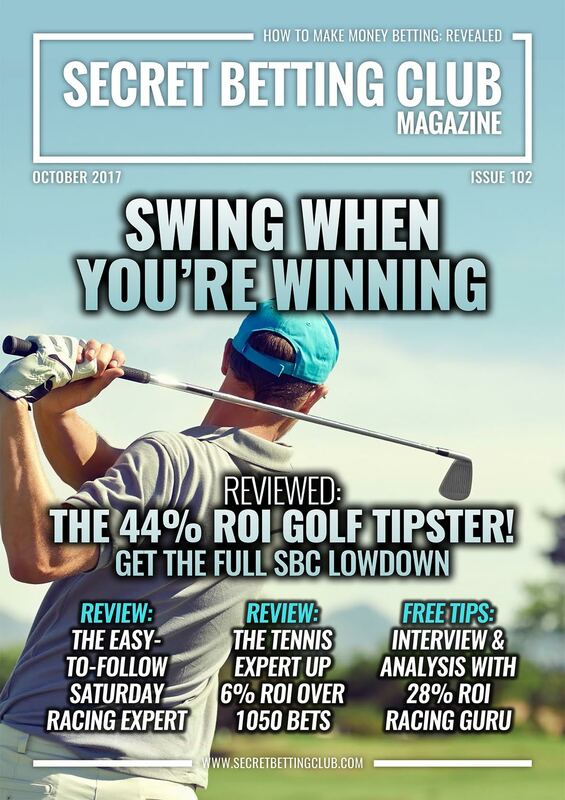 You can access your own copy of SBC 103 and our entire back catalogue of magazines the instant you join the Smart Betting Club. Best of all, you can also now save £45 on the usual cost of a Smart Betting Club membership as part of a special 2018 discount. I know that SBC can make a difference to your punting – so why not sign-up right away and get started immediately. This entry was posted in SBC Magazine and tagged boxing tipster, how to bet on boxing, Racing Tipster, sbc 103, SBC Magazine. Bookmark the permalink.